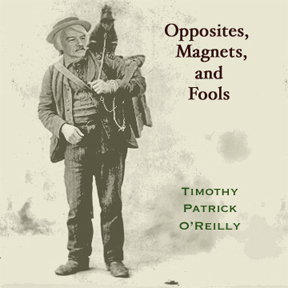 The Opposites, Magnets and Fools project was the culmination of a near life-long dream to arrange, produce, and publish a set of original tunes. Despite much discussion in books and other media about paying music dues, there’s little discussion about those who took alternate routes. In my case, there was never any doubt that I wanted music as a centerpiece in my life–-I just took a different road. 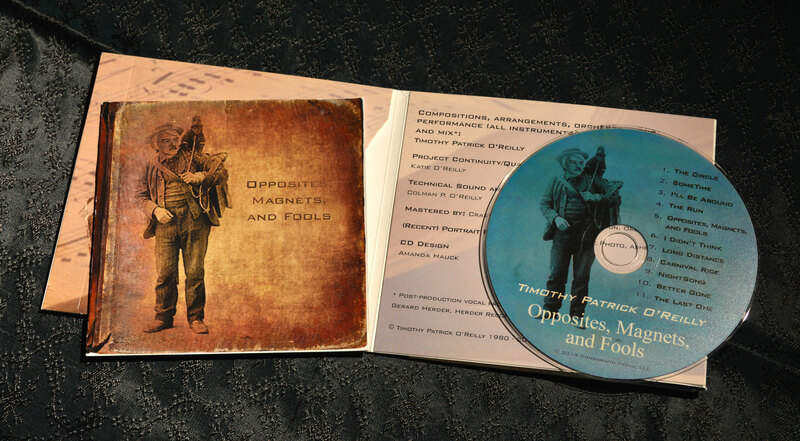 As with any genuinely original music, “Opposites” is difficult to categorize. It is folk/rock/pop possibly, although there’s a hint of funk, jazz, and even Celtic here and there. Significant orchestration throughout. Lyrics and melodies from the heart– with no smiling for the camera. $9.00 (USD) – This includes shipping/handling. I can do this not because I cut any production corners, but because I am the composer, arranger, musician, and producer (plus, I believe that someone who wants a real copy is someone I want in my corner — thanks! ).